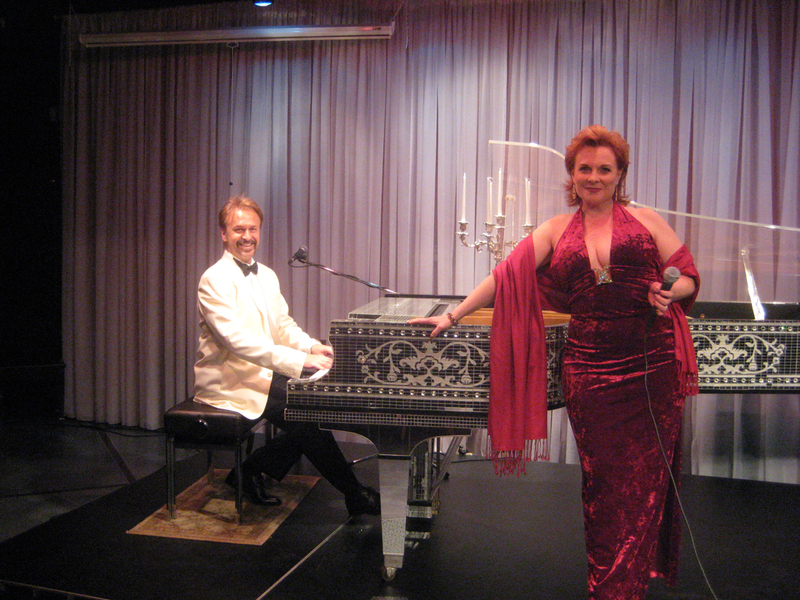 While performing in Phantom - the Las Vegas Spectacular Rebecca discovered the Liberace Museum. 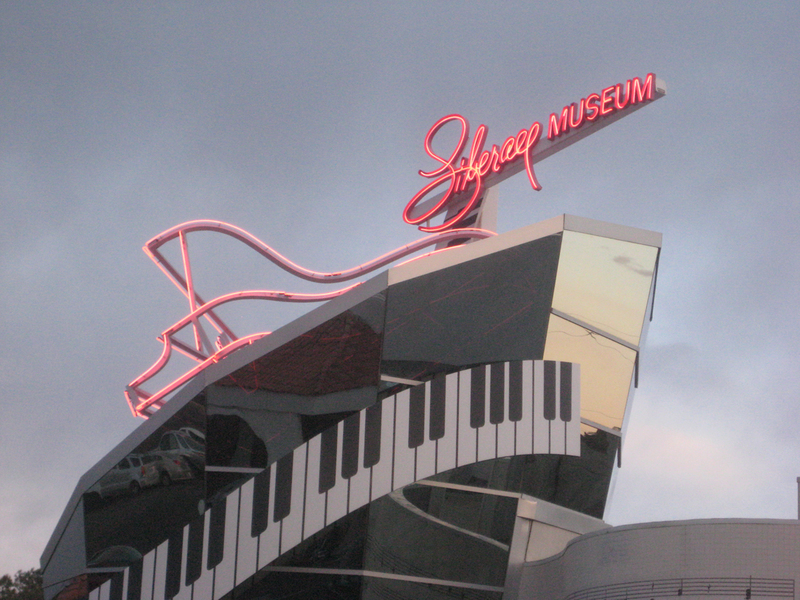 The Museum once hosted the LV Composer’s Showcase and many afternoon concert series, led by Wes Winters and then later housed the concert headlined by pianist, Philip Fortenberry entitled, LIBERACE AND ME, for over a year. Philip invited Becky to guest on his concert and featured the songs they recorded for the CD, Fair Warning, inspired by the ladies of the Red Hat Society. 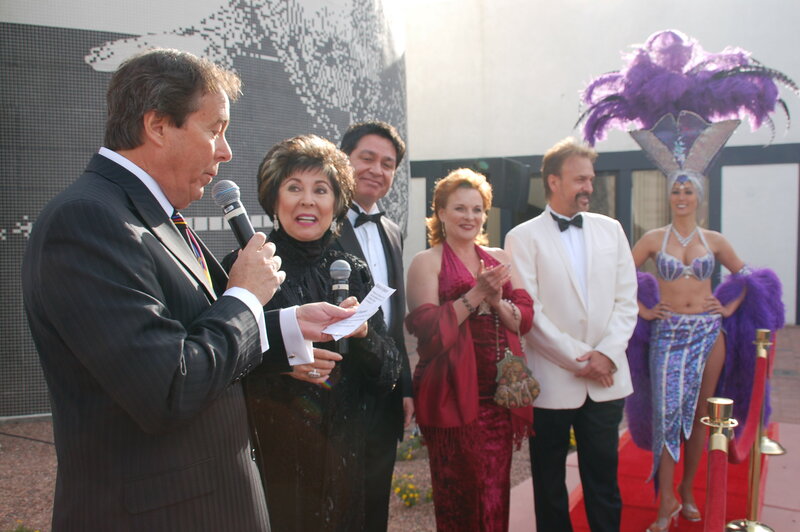 Rebecca performed on the 30th Anniversary Celebration of the Liberace Museum before it would sadly close its doors. 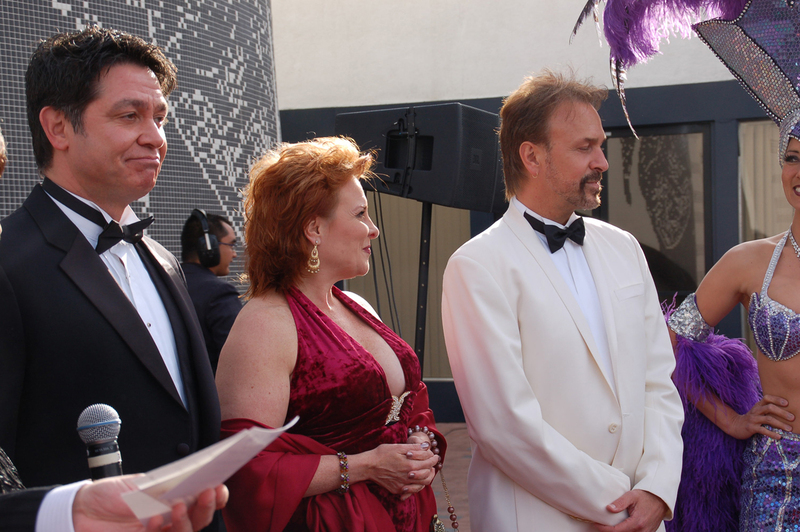 And we all sang to Liberace’s crystal Baldwin!